Hell Yes! 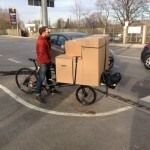 I love big cargo! 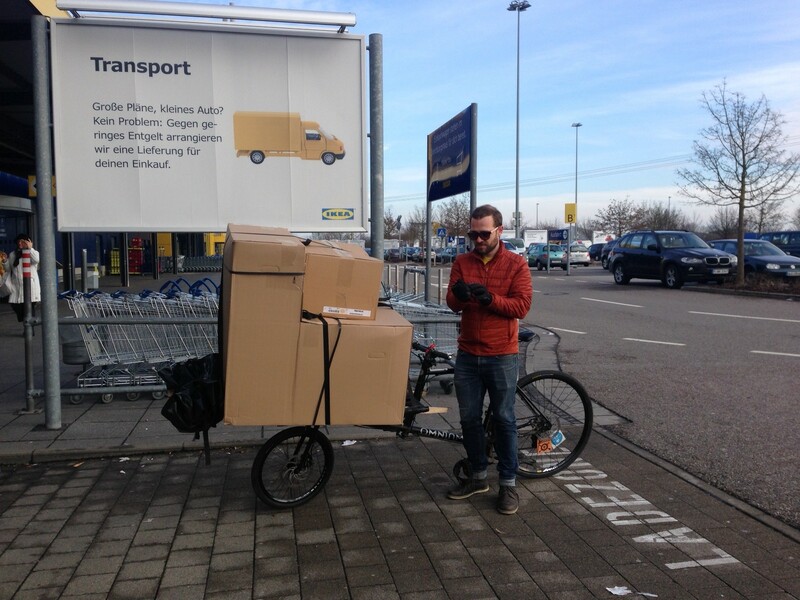 When I ride big cargo, that wouldn’t even fit into a regular car, I find myself feeling a bit superior to that motorist next to me, on the (IKEA-)parking-lot. 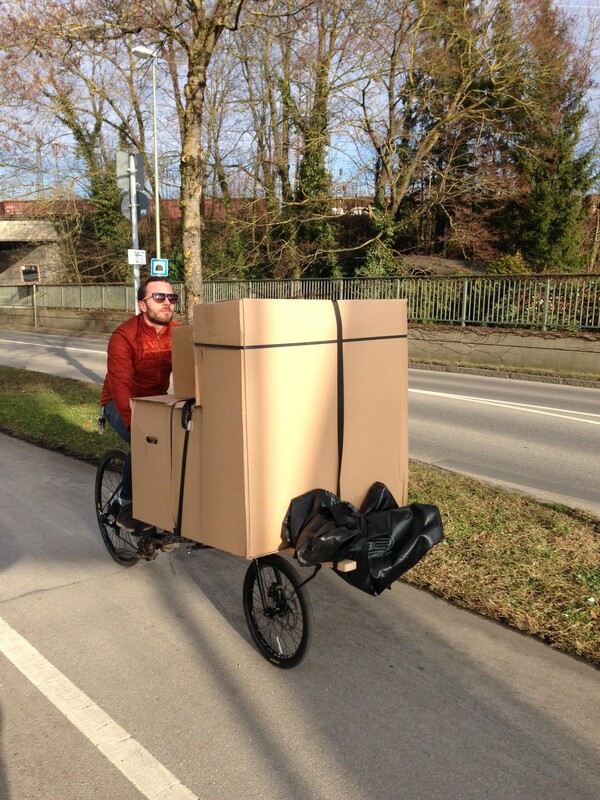 When loading I feel his eyes on me, feel him doubting, that this cargo will fit on the bike. 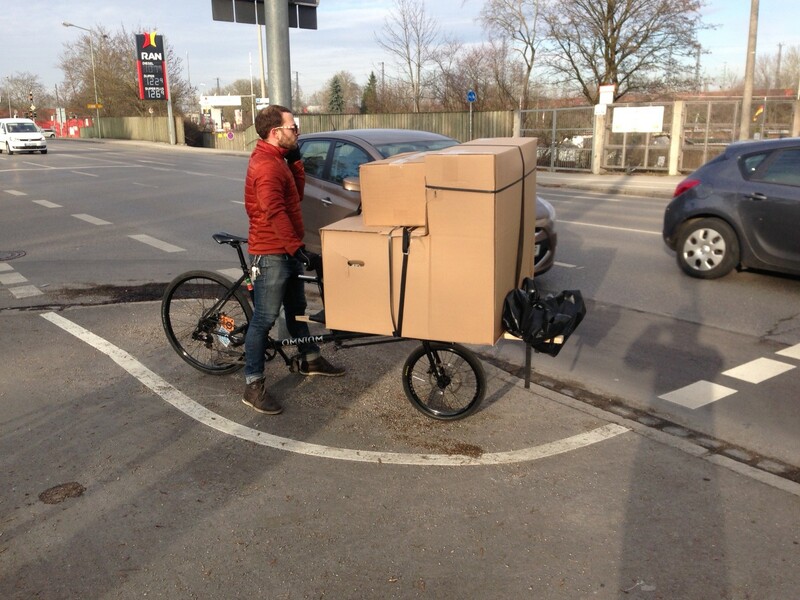 How could it ever work, as it wouldn’t even fit into his car, he might be thinking. 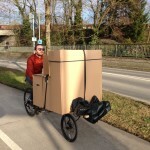 This is where I, as a cargo-cyclist, feel superior: My bike takes bigger stuff. I do not need a rental truck in order to buy that bed, that sofa-chair, that furniture in general. Because my rack is not as restricted in space as the trunk of his car. Only restriction is my phantasy and my ability to improvise. 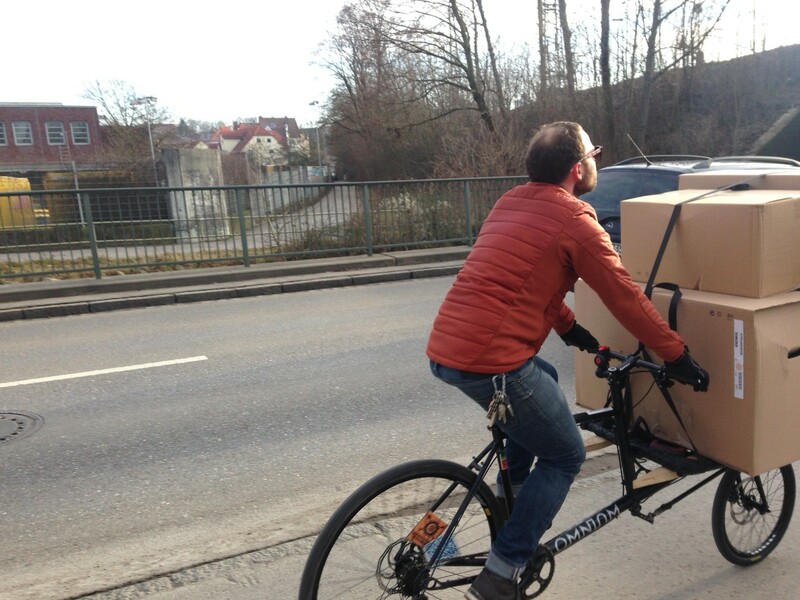 As a cycling-activist, I am also happy about big cargo, because you are more visible. 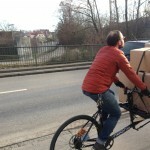 Because then your cargobike can not be overseen. The idea behind having one gets visible and so gets the questionmark behind the concept of having a car.